Each branch of the military has four designated military officers flags. 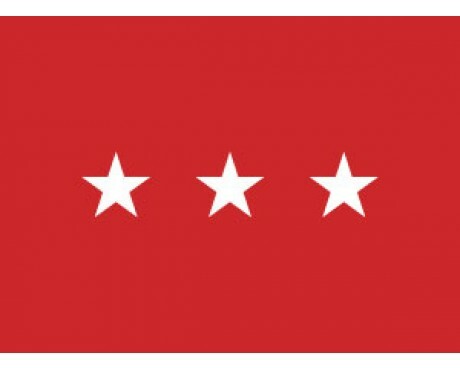 The military officer flags that have four stars, are an honor reserved for only the highest ranks. 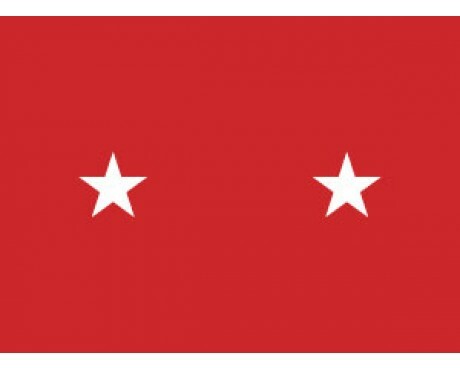 For the Army, these four stars are positioned in a straight line on the military officer flags, and are otherwise known as an Army general flag. 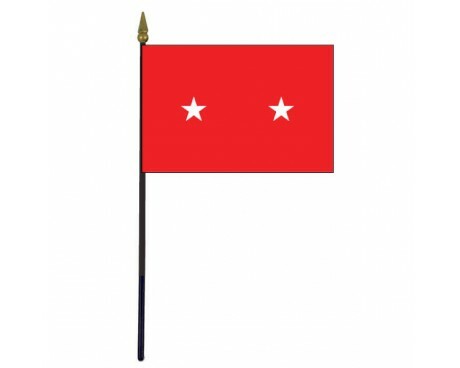 The Army lieutenant general flag, has three stars in a straight line, the Army major general flag has two stars in a straight line, and the Army brigadier general flag has one star. All of the Army military officer flags have white stars on a red background. 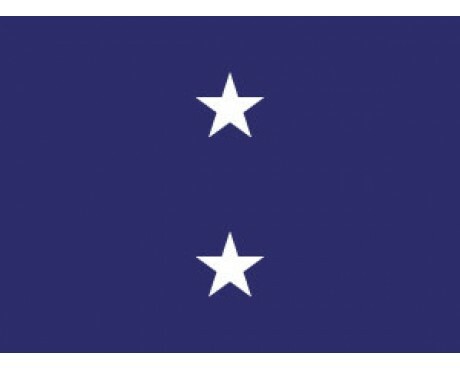 The Air Force military officer flags have white stars, all positioned in a straight line, on an Air Force blue background. 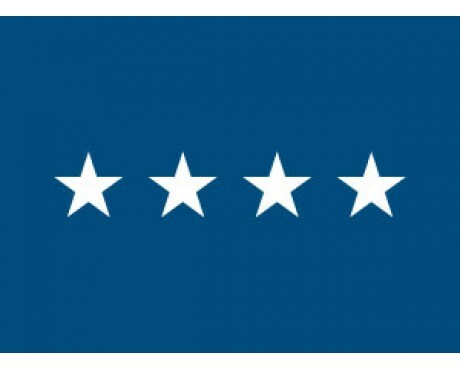 The Air Force general flag has four stars, the Air Force lieutenant general flag has three stars, the Air Force major general flag has two stars, and the Air Force brigadier general flag has one star. 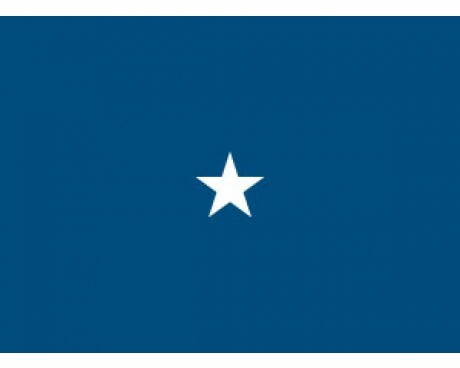 The Navy military officer flags have white stars on a dark blue background, but are arranged in a diamond or triangular pattern. The Navy admiral flag has four stars, the Navy vice admiral flag has three stars, the Navy rear admiral flag has two stars, and the Navy commodore flag has one star. 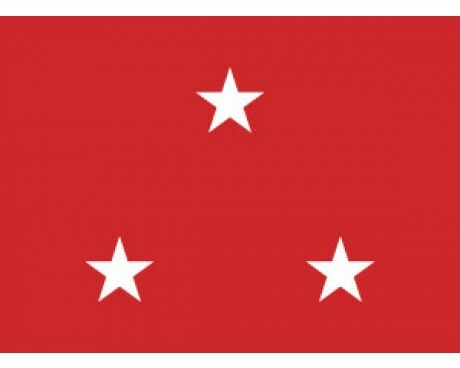 Finally, the Marine military officer flags have white stars on a red background, and are also arranged in a diamond or triangular pattern. 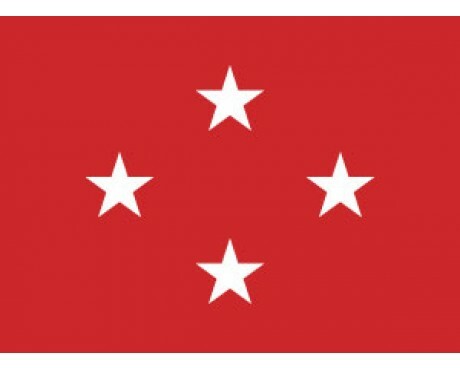 Hereto, the Marine general flag has four stars, the Marine lieutenant general flag has three stars, the Marine major general flag has two stars and the Marine brigadier general flag has one star. 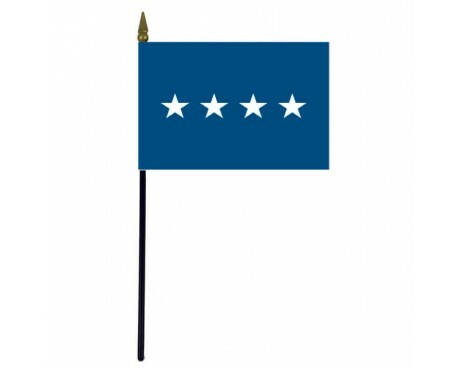 All of our military officer flags are offered in two sizes, a 4x6 inch polyester flag mounted on a black plastic staff, and a 3x5 foot nylon flag constructed with a pole sleeve and fringe. If you are purchasing military officer flags, you should consider the manner in which you will display them. Gettysburg Flag Works offers indoor mounting kits that come furnished with the finest quality mountings. Each deluxe set contains a highly polished two-piece oak finish pole with our brass screw joint, gold finished spear, 9' cord & tassels and a gold finished floor stand. The sets come completely mounted in a specially designed mailing carton. Did you know that we can customize a floor stand for your military officer flags? Looking to display your military officer flags in a customized high-end fashion? 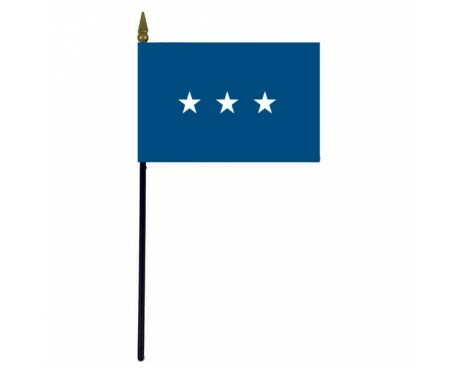 Gettysburg Flag Works offers a selection of beautiful, hand-crafted military floor stands. All of which can be be customized to meet your specifications.